With a built-in H.264 encoder, the integrated JVC Studio 6000S system supports up to 1080p streaming at up to 10 Mbps. At the 2019 NAB Show, JVC Professional Video debuted a compact all-in-one live production and streaming system designed for sports and other live events. 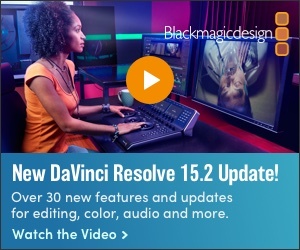 The company calls its new Connected Cam Studio 6000S a “self-contained control room” that features a production switcher with six IP inputs that support the NDI and SRT (Secure Reliable Transport) streaming protocols. Joe D’Amico, vice president, JVC Professional Video, said the Studio 6000S is an economical solution for live production that allows customers to deliver more dynamic multi-camera coverage with smaller crews. While designed to maximize IP workflows, the Studio 6000S inputs also support HD-SDI and HDMI sources. Other integrated features include an audio mixer, internal CG with templates, four layers of DSK, and clip store with playback. Features specific for live sports production include automated multi-channel instant replay and slo-mo, as well as an integrated sports CG for scores and timers. With a built-in H.264 encoder, the Studio 6000S supports up to 1080p streaming at up to 10 Mbps, with RTMP and MPEG-TS simultaneous output and direct streaming integration to Facebook Live and other CDNs. Output choices include dedicated HD-SDI and HDMI ports, plus an HDMI display port for multi-view or program monitoring. The system also includes simultaneous ISO recording of all cameras, plus users can record the program output and streaming output. JVC’s exclusive Zero Config features provides automatic, one-click configuration of any IP-enabled JVC camera that joins the same LAN as other JVC cameras. The Studio 6000S also offers integrated remote control for JVC cameras, including full PTZ control for the KY-PZ100 robotic PTZ production camera. The CONNECTED CAM Studio 6000S (KM-IP600) has an MSRP of $13,000 and will be available in June. JVC also offers two four-input production systems, the ProHD Studio 4000 and ProHD Studio 4000S with sports-specific features, which were introduced last year.